Nomad continue to astound and amaze with their quite frankly incredible range of cases, cables and a plethora of other stunning accessories for smartphones and tablets. We loved their Nomad Charging Wallet this year, so when we heard talk of a new Nomad wallet, this time with Tile Tracking we simply had to find out more! 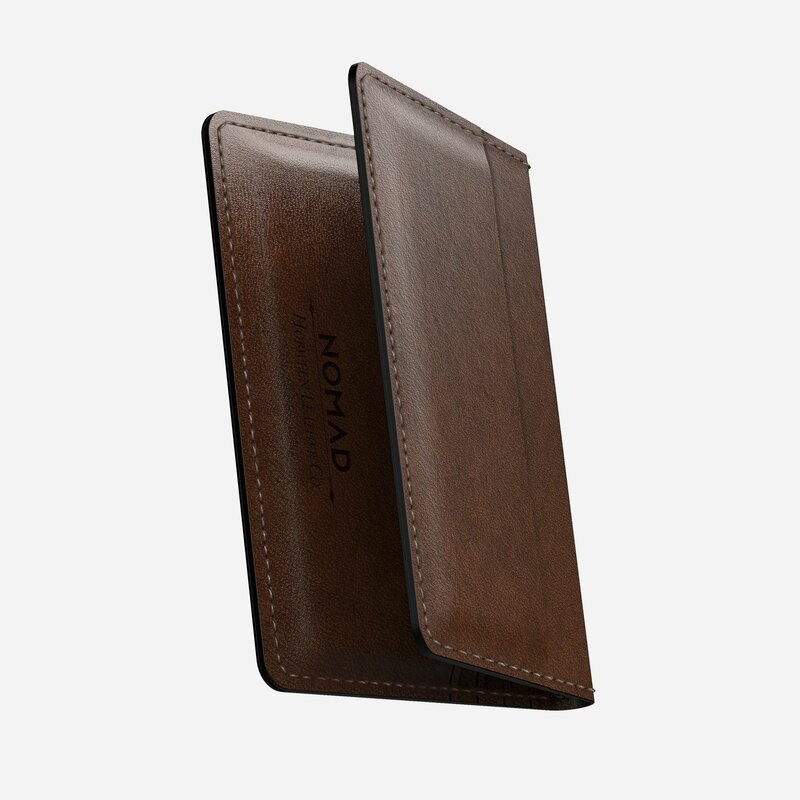 It has to be said the Nomad Slim Wallet is stunningly packaged in a slim box with protective bag. 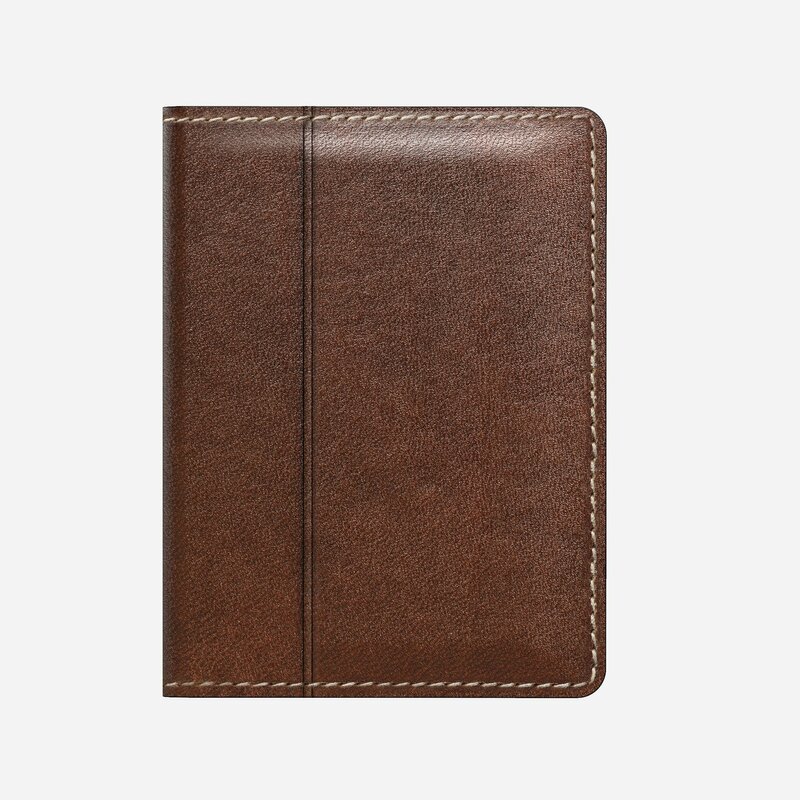 The Horween leather finish gives the whole wallet an elegant finish – and you also have the knowledge that over time the tanned leather will create it’s own patina so truly it will become a personalised possession to treasure. 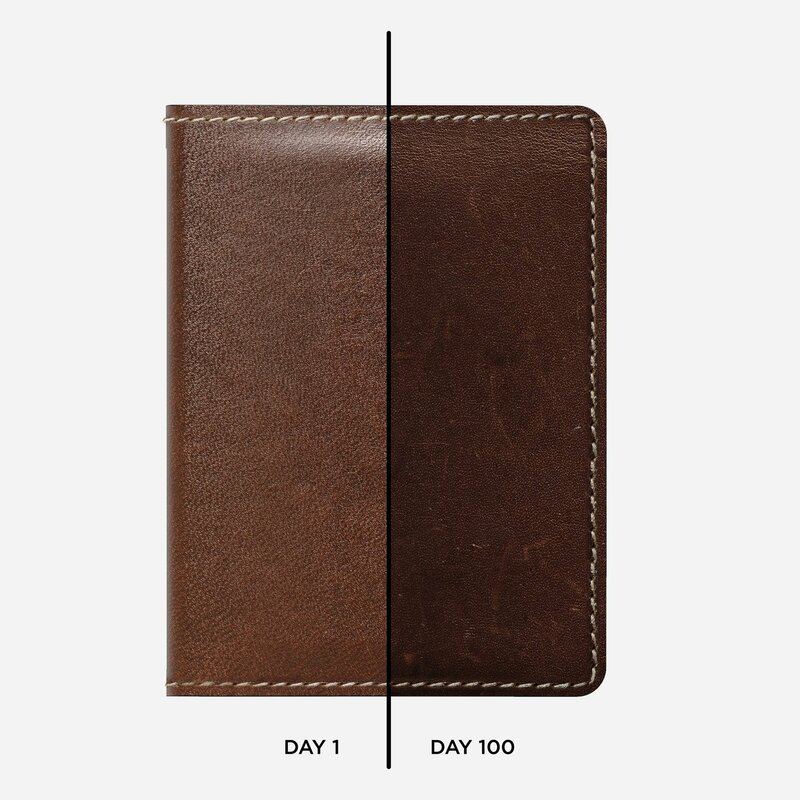 What’s particularly impressive is the minimalistic nature of the wallet with it’s demure proportions. At just 3” in width and a length of 4” with a height of just .6” it’s perfect sizing without being too bulky like other wallets, or simply too small to use at all. Even with it’s discreet sizing there’s ample sizing for all your essential items. Impressively the wallet will take 12 cards comfortably, but you’ve also got two pockets for notes and other forms of cash which is really handy for those that don’t want to be limited to just card payments. 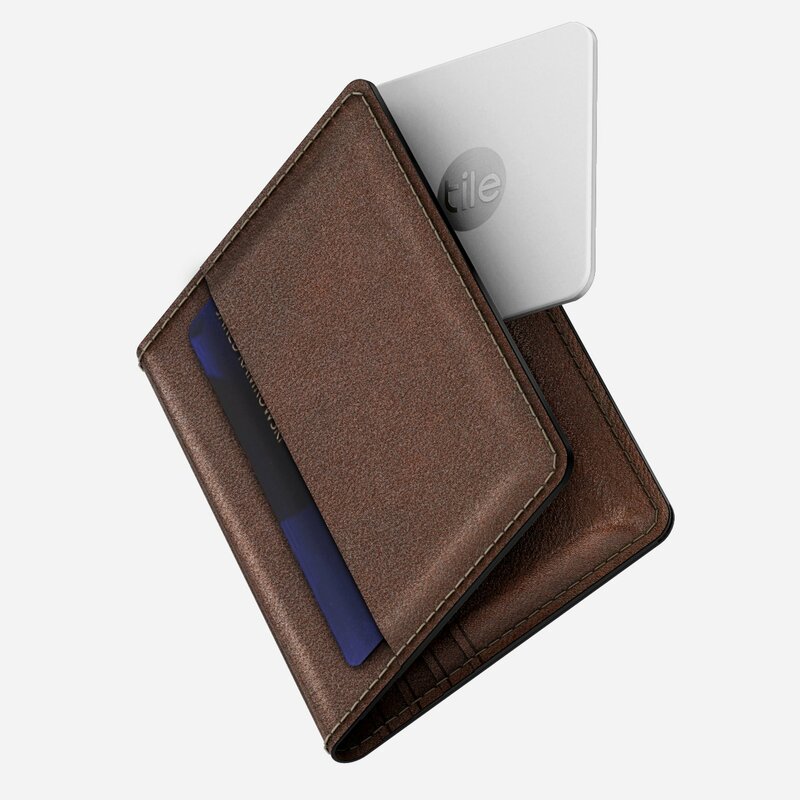 What’s most impressive about the wallet is it’s discreet hidden sleeve, within which is concealed a Tile Slim. That means if you lose your wallet you’ll still be able to easily track it via the Tile app. The peace of mind alone truly makes the wallet something very special indeed. It removes any issues of potentially losing your wallet in your house, or not being able to track it should it end up in ‘someone’ else’s hands. Getting the Tile app setup was remarkably easy. By simply downloading the app you can then press teh wallet where designated and follow the instructions on the enclosed pamphlet which comes with the packaging. We’re told the device lasts approximately one year – you’ll also have access to the ReTile program so you’ll have discounted rates on any new Tile Slims. You need not worry about removing the Tile too, it’s easily done by simply locating the elastic nylon sleeve, pulling back on the upper half and removing it. How convenient! Nomad have done it again, reinventing the wallet without compromising on the traditional leather aesthetic. We absolutely loved it and recommend you move quick to get yours for Christmas.